Book launch and jazz show April 22, Boston! Please rearrange your life and join me, Thursday night at Scullers Jazz Club! The news: I’m announcing my first book. It’ll be out in June. See cover art at left. 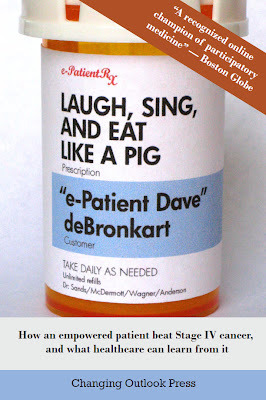 It’s my story then and now: excerpts from my online CaringBridge journal, interwoven with what I’ve since learned about e-patients and participatory medicine. 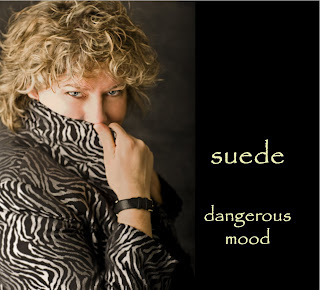 With four CDs and a live DVD to her credit (listen to her tracks here), Suede is an independent artist with a phenomenal stage presence. Be prepared to be owned by the diva for the entire evening. You’ll see. All New England, please come join us! It’s a dual celebration – Suede rarely plays Boston (she’s more often found on Olivia Cruises), and I’ve never published a book. April 22, 8 pm. Best seats go to those who buy the dinner/show package. 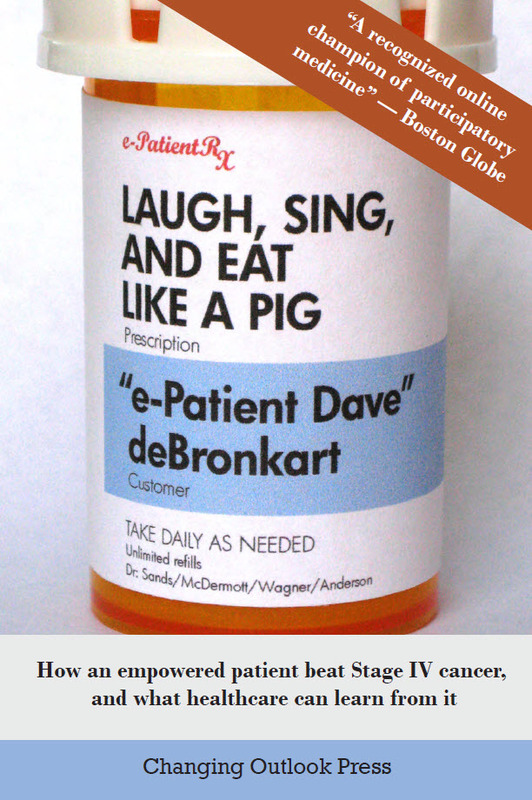 Admittedly, “laugh, sing and eat like a pig” is not a conventional approach to a deadly diagnosis. But that’s kind of the point. And the whole story is true, every word. What does Suede have to do with it? “Laugh Sing” is about facing the unfaceable with power and grace, and nobody was a stronger influence than my sister Suede. She taught me to have a powerful relationship to the disease (all explained in the book) and not be owned by it. She taught me what she learned about facing death from her years working with patients in the AIDS epidemic. She brought people from her extraordinary fan base to join our support group on CaringBridge. Most incredibly, she organized an impossible effort to solve another challenge I’ve rarely discussed: The whole time I was sick we owned an extra house. We’d lived in the Midwest for a while before something told us we had to get home to New England. We put that house up for sale in 2006, just as the market hit the skids, though nobody knew it yet; we thought it would sell soon. Then I found out I wasn’t getting the job that was 99% (not 100%) certain. So for months I owned two houses with no income. I found a job. And three months later I learned I had Stage IV cancer. The value of both houses started dropping. 30%, eventually. So, while I was sick we also had carrying costs for two houses on a one-house budget. And not even any showings on the old house. It felt crushing, but we were focused on just staying alive. First things first. Then, we got an offer. For $18,000 less than we owed. What did Suede do? She organized an incredible campaign and put on a benefit concert – she and her community raised the $18,000. So, in September 2007 we sold that house and got the official word that I’d survived. It was a very good month. Celebrate the book, Suede, and life! You can see what a powerful, wonderful, amazing woman this soulful singer is. She will own you for that evening. At the benefit concert my physician Dr. Danny Sands and wife Libby came to the first half of the show. He was blown away: at halftime they were trying to decide which CDs to buy, and they decided they had to stay for the second half to hear more songs. Let’s sell out the house! Bring friends! Rearrange your life for this rare show – buy tickets. Celebrate life! Hi, I’m about to quote your article and post a link back to this article on my blog please let me know if thats ok? Thanks for your auspicious writeup. This in truth used to be your satisfaction account the item. Glance difficult to be able to additional unveiled acceptable from you finding out! Having said that, the way may all of us communicate?